These general terms and conditions of sale (henceforth the "GTC") apply without restriction or reserve to any purchase of the services offered by the company INTERNATIONAL INSTITUTE OF HUMANIST COACHING (henceforth "IICH"), a limited liability company with a capital of € 5,000, whose registered office is in LYON (69003), 5 rue François Gillet, FRANCE, registered with the RCS of Lyon n ° 827 481 292, Code APE 8559A - VAT number FR3827481292, on the website www.hovta.com (henceforth referred to as the "Site") made by any individual of legal age or legal person, as a consumer or professional (henceforth referred to as the "Customer") within the meaning of the preliminary articles of the French Consumer Code. The Customer declares that s/he has read and accepted the GTC before placing any order for the HOVTA method on the Site. The present GTC shall prevail over any other general or special conditions not expressly approved by IICH. 2.1. "IICH" means International Institute of Humanistic Coaching, designated in Article 1. 2.2. 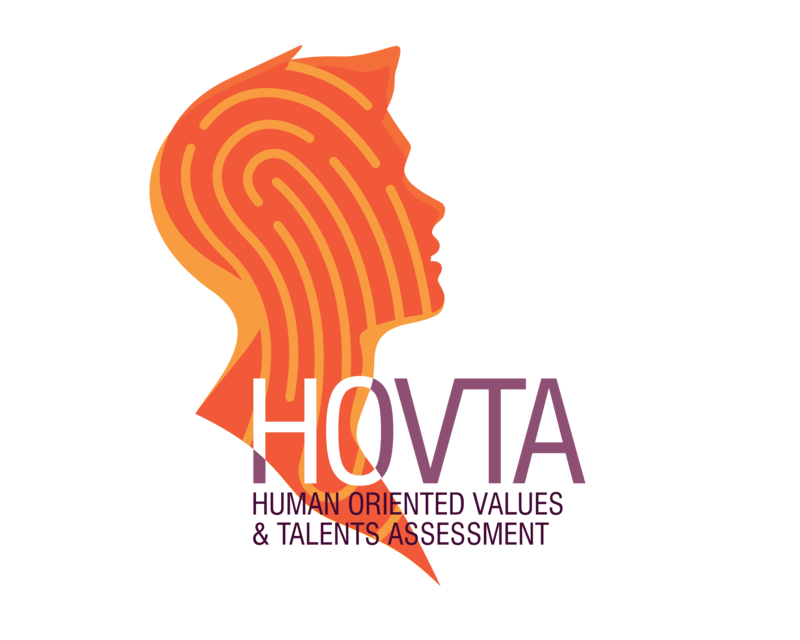 "HOVTA" stands for Human Oriented Values ​​& Talents Assessment. This is the assessment developed by IICH to identify in particular the values ​​and talents of the person answering the questionnaire available through the www.hovta.com Website. 2.3. "Customer" means the consumer or the professional, within the meaning of the preliminary articles of the French Consumer Code, who has contracted the service identified as the "HOVTA Method" on the website www.hovta.com. 2.4. "User" means any individual who has logged in, accessed or registered on www.hovta.com for the purchase of a HOVTA service without having paid for the service. 2.5. "Services" means all services offered on the Site including digital reports, administration, measurements, questionnaires and other available services. 2.6. "Professional (s)" means any natural or legal person accredited by IICH after having received the necessary training to use the Services and assign them to any third party in the context of his/her professional activities. 3.1. The service is accessible only to Professionals or Users connecting to the site and having created an account with a login and password on the Site. 3.2. Registered Professionals, Customers and Users are responsible for the security of their subscription and personal data including login and password. Registration data such as the login and password must not be shared between multiple Users. Any loss or theft must be reported to IICH as soon as possible in order to block access to any unauthorized third parties. 4.1. The Professional, Customer and the User are responsible for the safekeeping of their username and password. 4.2. If a User is no longer a customer of a Professional or an employee or associate of the Customer, the Customer shall notify IICH as soon as possible in order to block access to the Site for the User concerned. To avoid any confusion or doubt, if the Professional or Customer does not inform IICH of such changes to the list of its Registered Users, and any of its former customers or employees continues to purchase HOVTA services, it will remain responsible to IICH for the use of the service. 5.1. The Professional has a specific access for placing orders, for which s/he has full management and responsibility. Consult to be aware of any shortcomings on the completed questionnaire or any additional information necessary for the preparation of the report. IICH will communicate to the Customer, by e-mail, confirmation of the order placed. The Customer agrees to receive the corresponding invoice by e-mail at the e-mail address provided during the order. 5.3. Depending on the countries of issue and its own restrictions, IICH reserves the right to refuse to provide service in these countries. More details can be requested by e-mail at the address mentioned in article 1. 5.4. As soon as the questionnaires have been completed by the Professional, the Customer or any Identified User, IICH makes every effort to ensure that the report (s) can be sent as quickly as possible to the Customer or Professional. This commitment cannot constitute a guarantee of the deadline for preparing and sending the report, given that IICH is dependent on feedback from people contacted as part of the "360 ° feedback". 5.5. As a Professional, s/he is responsible for his/her own contractual relationship with his/her own customers and must not commit to deadline dates for delivering HOVTA reports. 6.1. We only take into consideration orders that have been made and paid for online with a payment card (debit or credit) valid at the time of the order. paid for at the rates and conditions applicable indicated on the site on the day the User places his/her order. 6.3. Professionals are likely to be offered preferential rates, subject to agreements with IICH. The prices are expressed in euros, including French VAT, and per person. In accordance with Articles L.221-29 et seq. of the French Consumer Code and for End-User Customers alone within the meaning of the preliminary articles of the Code, End-User Customers have the right of withdrawal of their order within fourteen (14) days starting from the day after the order is made on the Site, without justifying the reason, incurring costs nor penalty. To exercise this right, the Customer must notify IICH of his/her decision to withdraw his/her order by sending the withdrawal form attached to these GTC to the postal address mentioned in Article 1. IICH will then refund the Customer within fourteen (14) working days from receipt of the withdrawal form. In order to allow the Customer to obtain his/her HOVTA report and any other service offered on the Site as quickly as possible, s/he may waive, pursuant to Article L.221-25 of the French Consumer Code, his/her right of withdrawal before the end of the legal period of fourteen (14) days, by ticking the corresponding box before the confirmation of his order. 8.1. The Customer may not use the data collected and the results of the services used to create products or for the promotion, sale or any other commercial exploitation without prior written consent from IICH. 8.2. The Customer may not adapt services offered by IICH and HOVTA. In particular, he may not modify the HOVTA reports to affix his own brands, logos, designs or models, without the prior written consent of IICH. IICH will in no way be held responsible for these changes and alterations and their consequences, especially in case of copyright infringement of a third party. 8.3. In the event that the Customer is not the User, s/he must ensure that all registered Users comply with the obligations arising from these Terms and Conditions. S/he will have to guarantee that IICH may have any recourse against the registered Users who do not respect these GTC and French legislation. All elements of the site (namely content, codes, architecture, hypertext links, etc. ), methodology, technology and HOVTA reports are protected by copyright, trademarks or patents. Their use without the prior written consent of IICH or other rights holders is likely to constitute an infringement and may lead to prosecution. Unless expressly authorized by IICH in advance, by connecting to the Site, the professional, the User and the Customer are prohibited from copying or downloading all or part of its content. The following are prohibited: extraction, re-use, storage, reproduction, representation or conserving of any quantitatively or qualitatively substantial parts of the Site or HOVTA reports, in any form whatsoever. The accreditations and training provided by IICH to the Professional does not imply any intellectual property rights to the latter concerning the site, the methodology, the technology and the HOVTA reports. HOVTA is responsible for processing registered users' personal data, addresses and email exchanges with third parties contacted as part of the 360 ° feedback. The Professional is responsible for processing the personal data of his/her customers and any data entered on the site and data resulting from HOVTA reports. 11.1. IICH is responsible for HOVTA reporting. As a tool for self-awareness and dialogue to raise awareness, HOVTA cannot be considered a tool that provides a definitive and objective result. Through the preparation of a report, HOVTA's main objective is to accompany the User’s thought processes according to the results obtained. Consequently, IICH can only undertake an obligation of means. IICH CANNOT GUARANTEE THE ADEQUACY OF THE SERVICES OFFERED ON ITS SITE OR THE RELEVANCE OF THE RESULTS OBTAINED IN THE REPORTS ORDERED. IN ANY CASE, THE PROFESSIONAL, THE CUSTOMER AND THE USER ARE DEEMED TO HAVE TAKEN ALL THE NECESSARY PRECAUTIONS FOR THE PERSONAL OR PROFESSIONAL USE OF THE RESULTS OF THE HOVTA ASSESSMENT CONTAINED IN THE PERSONALIZED REPORT THAT HAS BEEN SUBMITTED TO THEM AFTER PLACING THEIR ORDER. THE PROFESSIONAL, THE CUSTOMER AND THE USER ALONE ARE RESPONSIBLE FOR ANY PROFESSIONAL OR PERSONAL DECISIONS AND CHOICES THEY MAY, OR MAY NOT TAKE, CONSIDERING THEIR RESULTS. IICH SHALL NOT BE HELD LIABLE FOR DIRECT OR INDIRECT CONSEQUENCES, IN ANY FORM (NAMELY FINANCIAL), OF THE USE OF THE SERVICES PURCHASED ON THE HOVTA WEBSITE. 11.2. IICH cannot be held responsible for any direct or indirect loss of profit, performance, wages, data processing, willingness and motivation, and loss of time of persons for whom the Professional establishes a HOVTA report or Registered Users. 11.3. IICH cannot guarantee uninterrupted service and access to the Site. No liability will be incurred by either of the parties in the event that any obligation resulting from these GTC is not completed or is completed late, if the latter results from a force majeure, within the meaning of the new article 1218 of the Civil Code. 11.4. In no event shall IICH be liable for any direct or indirect prejudice resulting from the relationship between the Professional and the person for whom it is preparing a HOVTA report. For any information or questions concerning the use of the Site or HOVTA services and for any notification or alert concerning the contents featuring on the Site, contact can be made by e-mail at the address mentioned in article 1. IICH will archive the purchase orders and invoices on a reliable and durable digital medium constituting a faithful copy in accordance with the provisions of article L.213-1 of the French Consumer Code and article L.102 B of the Fiscal Procedure Guide. The computerized registers of IICH will be considered by the parties as proof of communication, orders, payments and transactions between them. These General Terms and Conditions are written in French and will be executed and interpreted in accordance with French law. In accordance with Article L. 612-1 of the French Consumer Code, the Customer as a consumer has the possibility to make free use (except for possible legal and expert fees) of a mediation system in order to resolve amicably any dispute arising with IICH. The Customer must, before any mediation, submit a written complaint directly to IICH to the postal address mentioned in article 1. The request for mediation must be lodged within one year from the date of this written complaint, otherwise it will be inadmissible. It is proposed to use the following mediator: Medicys, 73 boulevard de Clichy, 75009 Paris. Mediation is not mandatory in accordance with Article L. 612-4 of the French Consumer Code. The Customer and IICH are free to accept or reject the solution proposed by the mediator. Even in the context of mediation, the contractual liability of IICH, as it may be incurred in application of the present GTC, cannot, under any circumstances, exceed the total amount paid or remaining due by the Customer for any order on the Site. The nullity, illegality or inapplicability of any clause in the GTC shall not affect the validity or applicability of its other clauses. It is formally agreed that any tolerance or waiver by IICH, in the application of all or part of the commitments provided for in these GTC, whatever the frequency and duration may have been, cannot modify the GTC, nor generate any right benefiting the User or Customer. - the order concerning the two abovementioned reports.